26th Oct, 1:26. Two young people were kissing each other like nobody was watching. 24th Dec, 23:59. 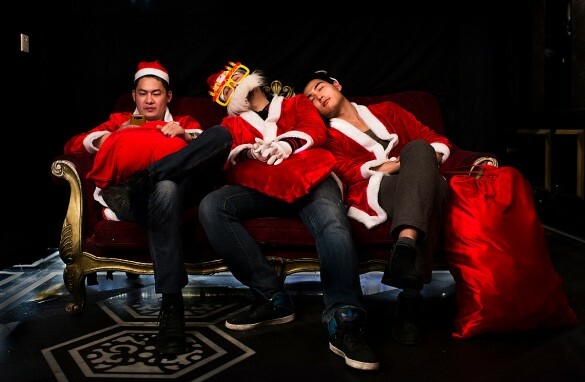 Three stressed-out Santa Clauses were leaning closely against each other on the couch. 16th July, 0:58. Two young people were cuddling on the couch. 21st July, 2:43. Two young people were chatting. 21st July. 0:45. A girl was trying to get rid of the hug from a stranger. 17th July. 00:49. Three young men were crossing their legs simultaneously. 20th July, 00:48. A half naked guy was saying “hello” to the camera. 12th August, 00:04. A girl was showing off her new shoes to the camera. 11th August, 01:43am. A drunk guy was vomiting. 26th July, 1:07am. Two foreigners were sitting on the couch. 27th July, 02:58am. A young woman was sleeping on the couch. 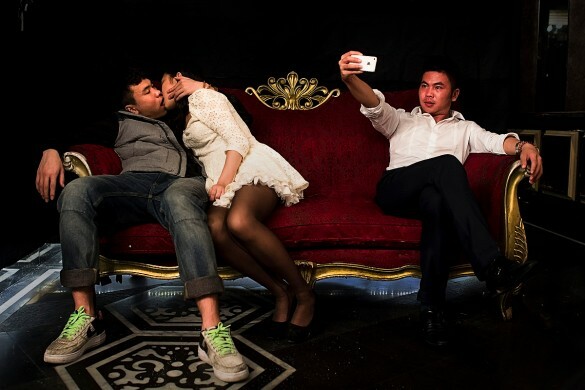 These photographs of young Chinese people waiting on a couch outside the lavatory in a club located in Changsha City, China were taken across a period of six months. In November 2013, Xiaokang Magazine, an affiliate of Qiushi Journal (one of the journals of the Central Committee of the Communist Party of China), conducted a survey called “Annual Mood of 2013” amongst Chinese people all over the world. The survey showed that most Chinese people participating in the survey felt “exhausted” in 2013. Urban problems especially problems about housing, transportation and income are especially stressful for the younger generation in China. 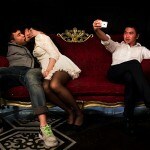 An increasing number of young people in China prefer to relax their body and liberate their minds in clubs with alcohol.